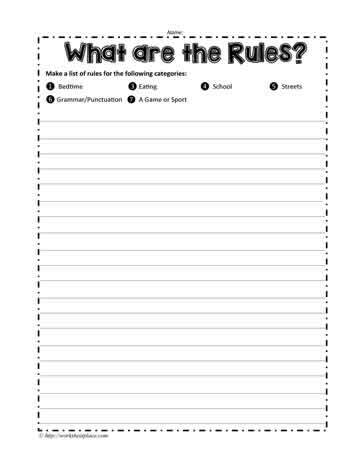 What are the rules that you follow at home and or at school? Do you have eating or breakfast rules? What are the rules for the gym? the library? the level of voice volume?